Repetition and exposure to spelling patterns is how we get our students to master and apply them. 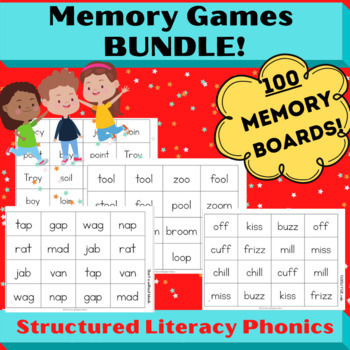 If you want ready-to-print memory games for all spelling patterns in the within-word word study sorts and all levels of the Basic level of Orton Gillingham, this set is for you! 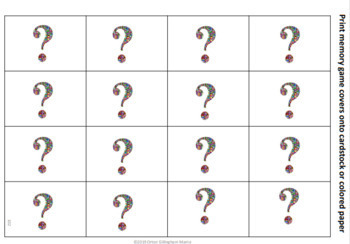 Take your word study to a whole new level of engagement and fun with these 94 ready-to-print memory games. 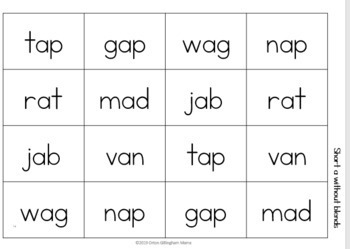 Each phoneme, syllable type, and spelling pattern is included. 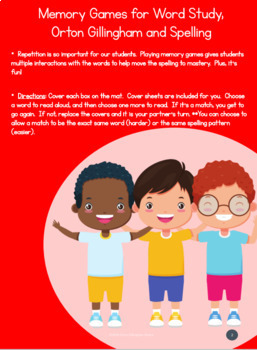 Your students will love playing and you will love the ease of these memory games! A blank memory mat is included for you if you want to make more memory games!